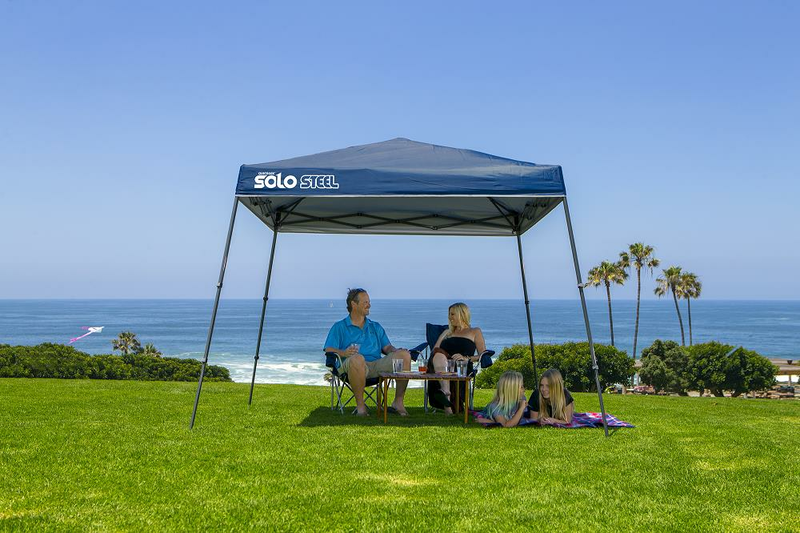 Quik Shade Solo Steel 64 Ultra Compact Shorty Instant Folding Canopy with 8'x8' Top & 10'x10' Base 164184 Blue - California Car Cover Co. 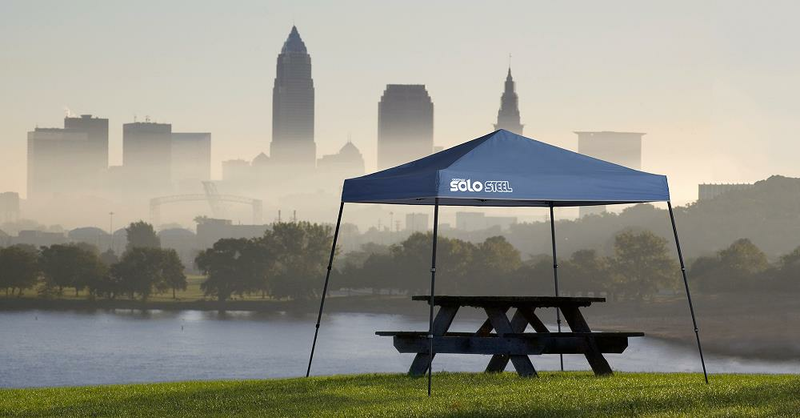 The Solo Steel Canopy now features 3-piece telescoping legs to provide infinite height adjustments and intuitive cam-lock levers provide for easier set up and take down. 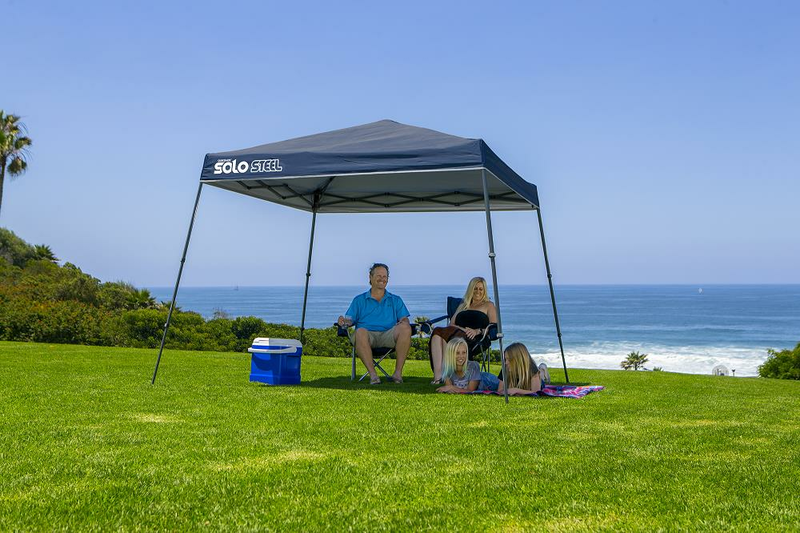 The canopy measures 8’ x 8’ at the top and 10’ x 10’ at the base to provide a full 64-square feet of coverage and folds to a mere 40” to fit into vehicles with limited trunk space, like sports cars or street rods. 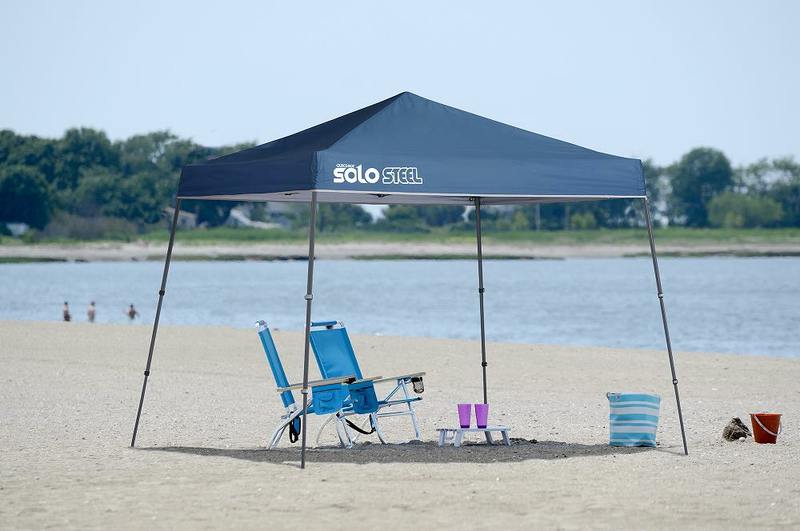 The durable top features a sun-blocking aluminum lining for superior weather protection and can keep the shaded area up to 20 degrees cooler. 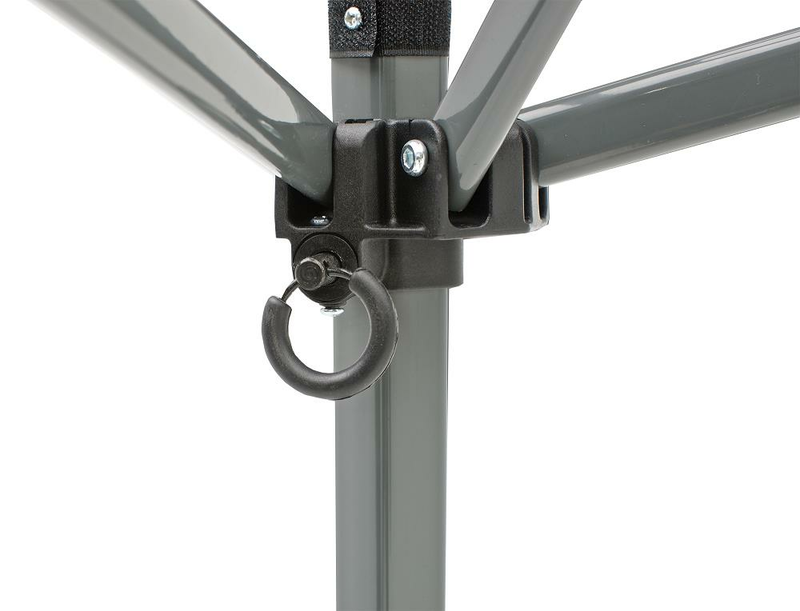 Made from extra strong steel with an anti-rust powder coated finish and reinforced joint connectors for a stronger frame. 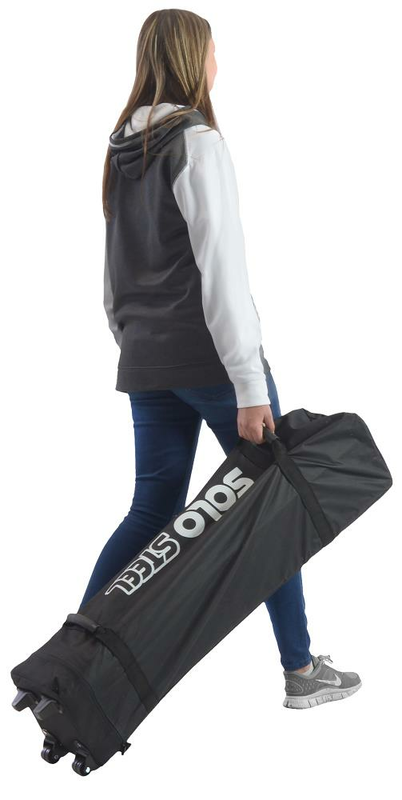 Includes a set of four anchoring stakes and roller bag. Oversize shipping rates apply. 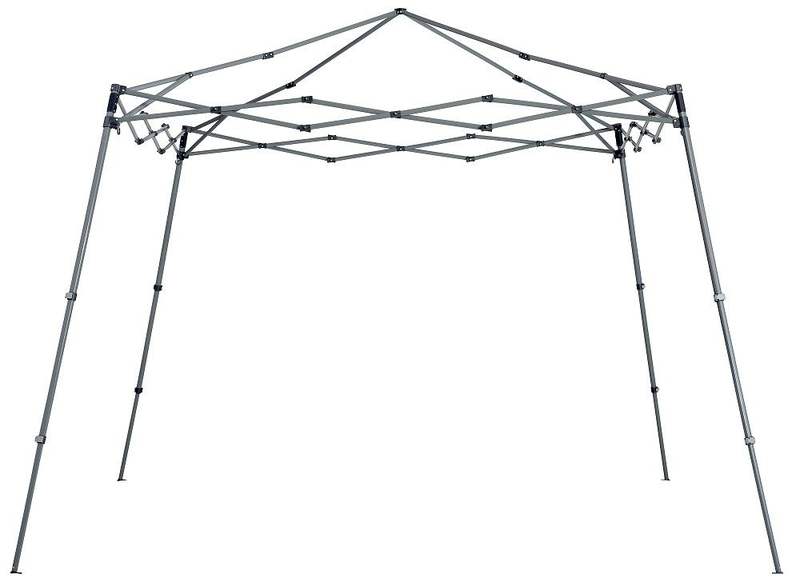 Size - 10 x 10 ft.
Rib Tubing Diameter - 1.26"
Exterior Dimensions Width - 118"
Exterior Dimensions Depth - 118"
Exterior Dimensions Height - 96"
Interior Dimensions Width - 115.48"
Interior Dimensions Depth - 115.48"
Interior Dimensions Height - 94.74"
ShelterLogic warrants to the original purchaser that the product and all parts are free from manufacturer’s defects for a period of 1 year for fabric and framework. 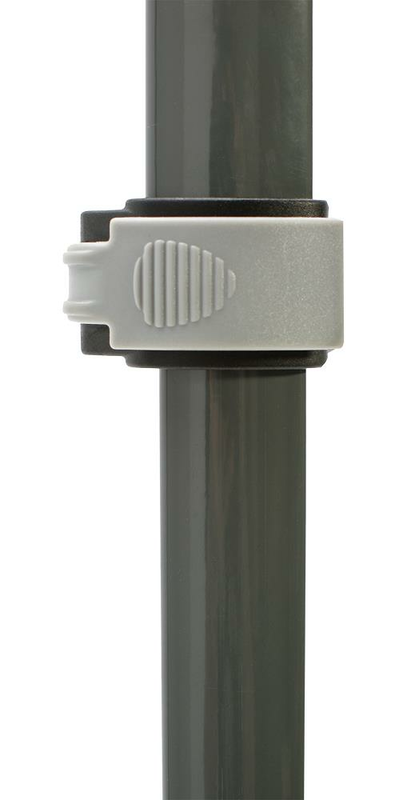 Warranty period is determined by date of shipment from ShelterLogic Corp. for factory direct purchases or date of purchase from an authorized reseller. Please save a copy of your purchase receipt. 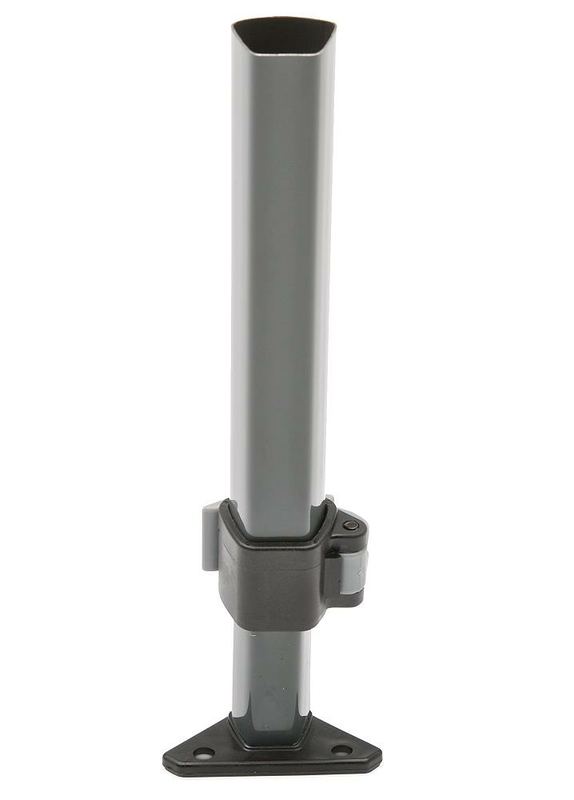 If this product or any associated parts are found to be defective or missing within 30 days of receipt, Shelterlogic will repair or replace, at it’s option, the defective parts at no charge. 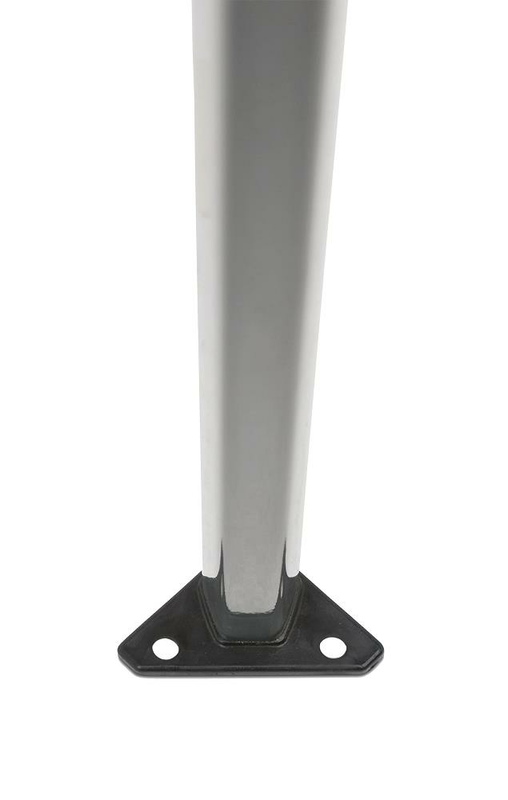 Repaired or replacement parts shall be covered for the remainder of the original limited warranty period. In order to process your claim, please upload a copy of your receipt along with AT LEAST 2 photos of the product in the form below. Parts and replacements will be sent via FedEx Ground. If you purchased from a local dealer, all claims must have a copy of original receipt. Damage that occurs during shipping. 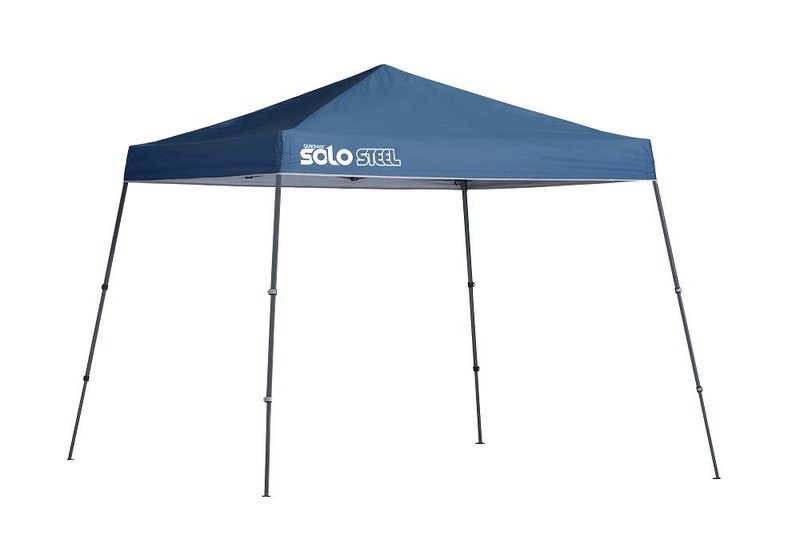 Shelter that has been subjected to abuse, accident, alteration, modification, tampering, vandalism, negligence, misuse, abrasive contact, faulty installation, lack of reasonable care or if affixed to any attachment not provided with the shelter. Damage to the contents of shelter, any person or property is excluded. Normal and foreseeable wear and tear. 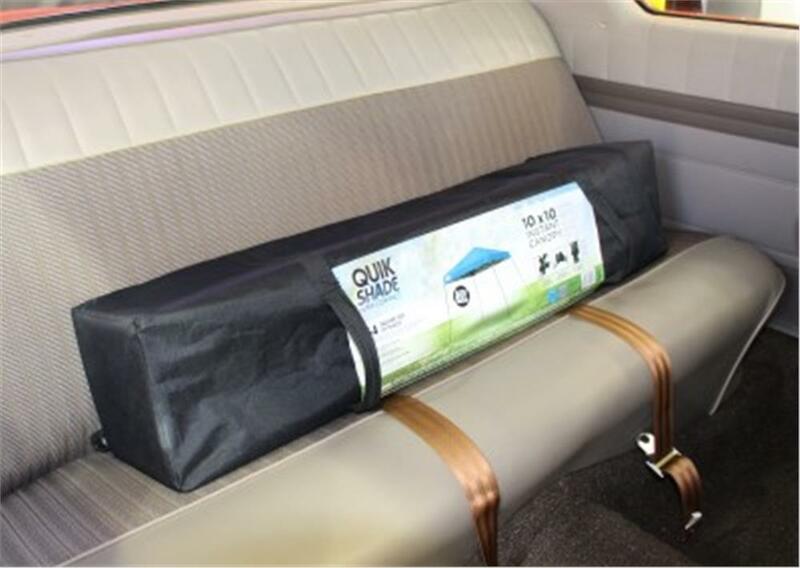 Wear of fabric due to improper installation of cover & doors. Damage that occurs due to acts of nature, ie. hurricane, tornado, wind, flood, snow, wind driven debris, etc. Third party labor or installation fees of any kind are not recoverable under the warranty. Customer is responsible for all zoning issues and permits if required. Product not installed according to instructions provided.